Marketing research is vital to part of organizational effectiveness in today's highly competitive marketplace. But many managers in small businesses with limited budgets consider it out of reach. In Marketing Research That Won't Break the Bank, Alan Andreasen shows readers how to get the information they need to make smart, strategic decisions without spending a lot of money. The tools and techniques presented will help managers gain an in-depth understanding of their target market, competitors, and environment without stretching the organization's budget. Alan R. Andreasen is professor of marketing at the McDonough School of Business at Georgetown University and executive director of the Social Marketing Institute. He is a past president of the Association for Consumer Research. Andreasen is the author or editor of numerous books, including Ethics and Social Marketing (2001), Strategic Marketing in Nonprofit Organizations (6th ed. 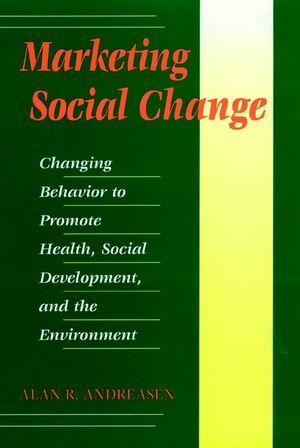 with P. Kotler, 2003), and Marketing Social Change (Jossey-Bass, 1995). Part One: Planning a Low-Cost Research Program. 1. 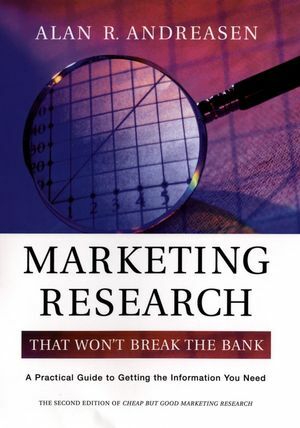 Myths of Marketing Research. 2. Planning a Research Program. 3. Evaluating Individual Research Projects. Part Two: Alternative Low-Cost Research Techniques. Part Three: Making Low-Cost Research Good Research. 10. All the Statistics You Need to Know (Initially). Part Four: Organizing Low-Cost Research. 11. Organization and Implementation on a Shoestring.